Hi, this is Santosh Rawat. Master's in law and business administration. 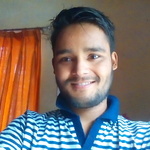 I Love to write and can write proficiently on diverse subjects, ranging from sports, technology, health...Read moreHi, this is Santosh Rawat. Master's in law and business administration. I Love to write and can write proficiently on diverse subjects, ranging from sports, technology, health and fitness, entertainment, lifestyle, real estate, parenting, world news etc. I am a dedicated writer who can write diversified content on any Topic or Niche. I also like to draw abstract sketches, Logo, simply with my pen and paper. The reason of why i become a freelancer is that i love to work that makes me and my client satisfied. I love to travel as well and the job of 9am to 5pm restrict me to travel, So here i am on UK's Top freelancer website working on what i love to do. I love to hang out around nature and listening to music. Earlier i was writing for my friends, for the university, for the local publishing house and now i am providing my services here. I look forward to working with you.